Posted April 27, 2015 by Rob Smedley & filed under Soundtracks. Question: Why do we talk to ourselves when we know we’re alone? Answer: Because we haven’t had the Doctor Who Season 8 soundtrack to keep our pudding-brains busy. That, and there may be a race of unseeable entities watching our ever move. But mostly, y’know, the soundtrack thing. 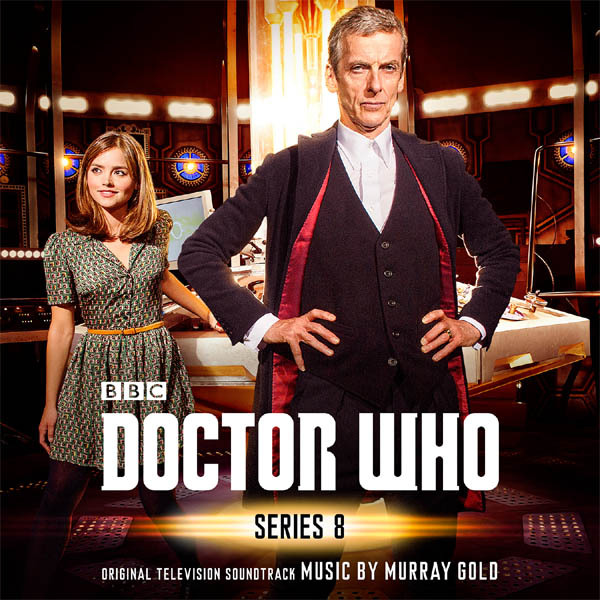 Always a treat for a Whovian’s ears, the eleventh album of music since the show’s return continues to show no drop in the quality of Murray Gold’s work or the breadth of his imagination. It also displays a slight change in the show’s musical direction; bringing a darker palette that often uses synths and computer instruments to evoke the Radiophonic era. Music scored for ‘Into the Dalek’ and ‘Kill the Moon’ in particular hark back to composer Roger Limb’s work on the show in the Eighties, but it now has a richer texture thanks to The National Orchestra of Wales. There’s still plenty of Gold’s bombast – this time with greater use of drum and electric guitar, lending things a Hans Zimmer-y sheen – but things feel a little more toned down this time; a little moodier, grumblier, and less frenetic. That shouldn’t be a surprise given that Season 8 took us into darker territory and gave us a Doctor who was still uncertain of his moral stance, but it may mean that you have to work a little harder, listen a few times more, to be rewarded by finding your favourite tracks. And that might take some time, because you certainly get a lot of sound for your money. With 68 tracks across 3 CDs – the last of which is devoted entirely to 2014’s Christmas special, ‘Last Christmas’ – it just pips the Season 6 album for ‘more music on the inside’ size. From the Gothic clickety clockwork of Victorian London all the way to a John Carpenter-esque nightmarish Christmas, Season 8 took us on a whirlwind journey with Murray Gold and The National Orchestra of Wales as our ever-reliable musical companions. Released on Monday 18 May 2015 by Silva Screen. > Order the album on Amazon.